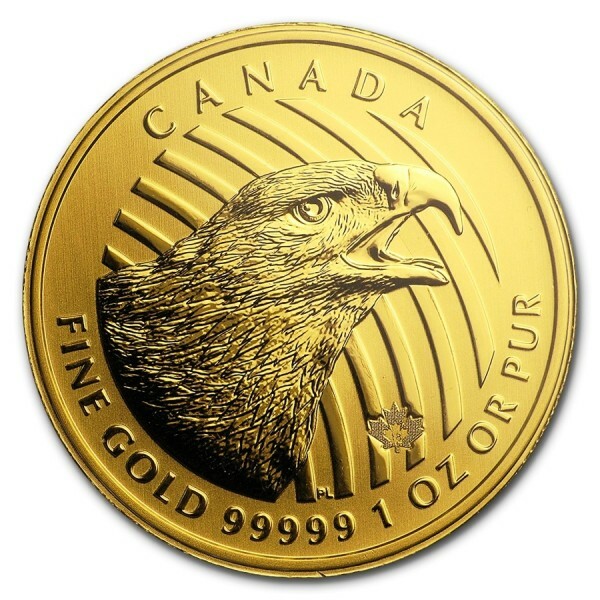 The eagle is the fifth release in the RCM's beautiful "Call of the Wild" series- Howling Wolf, Growling Cougar, the Roaring Grizzly and The Elk. 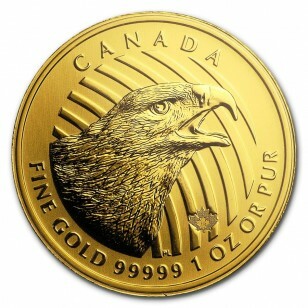 It features species that make up the Canadian landscape. 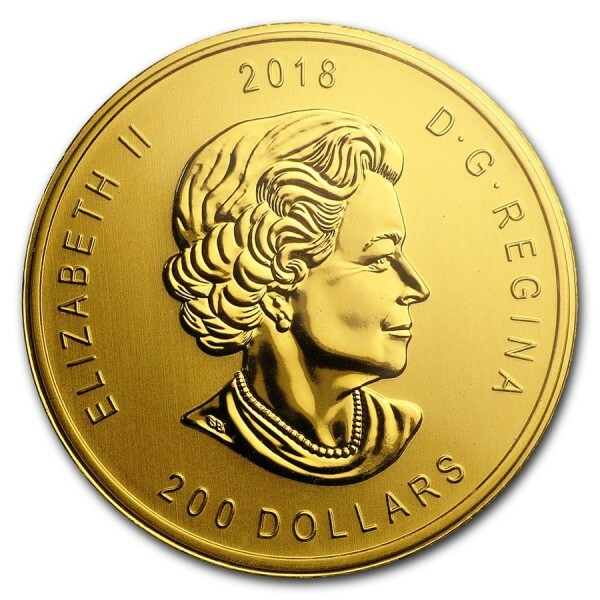 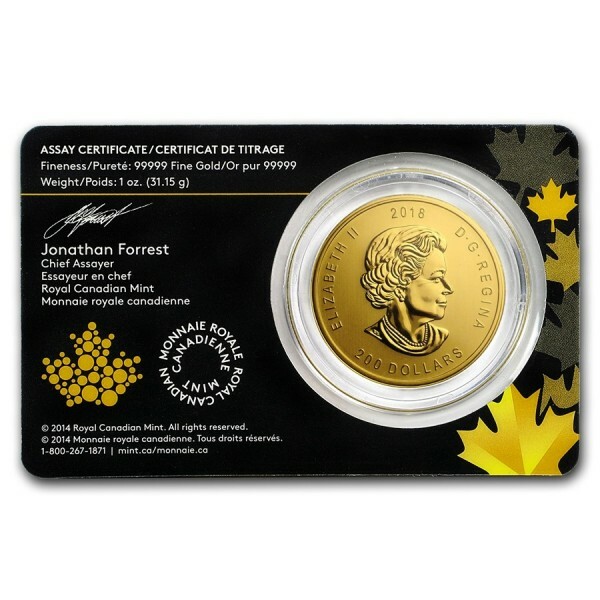 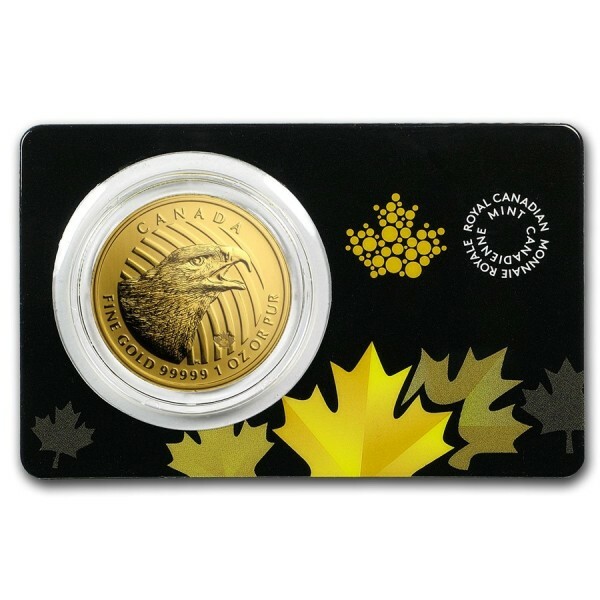 Coin comes in Assay card, contains 1 oz of .99999 fine gold and with face value of $200.